DESIRABLE 4045 SQ. FT. HOME ON PRESERVE HILLSIDE LOT IN A CUL-DE-SAC IN MOUNTAIN PARK RANCH COMMUNITY! 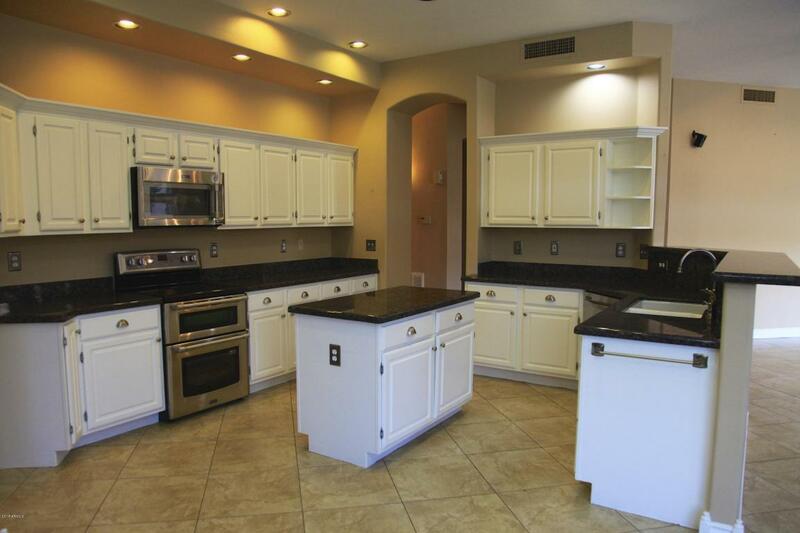 Beautiful Kitchen W/ White Cabinets, Pewter Knobs, Granite Counters, & SS Appliances. Kitchen Open to Over-sized Family Room W/Fireplace. Tile Flooring T/O Almost the Whole Downstairs. 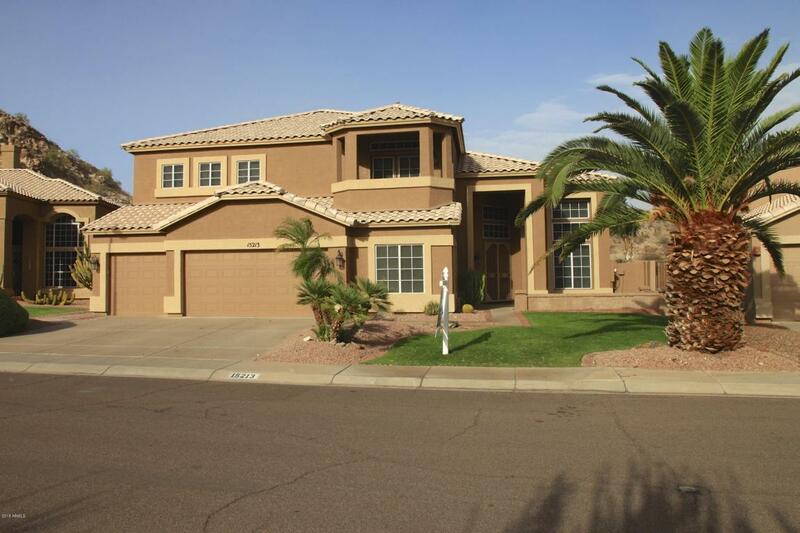 5 Spacious Bedrooms W/ Walk-in Closets & 3.5 Baths, Jacuzzi Tub and Fireplace in Master Bedroom. Balcony off of Master W/ Stunning Views of the Preserve. Large Laundry Room W/ Cabinets & Sink 4 Car Garage(4TH STALL IS STORAGE ROOM WHICH COULD BE MADE INTO MEDIA ROOM OR OFFICE). 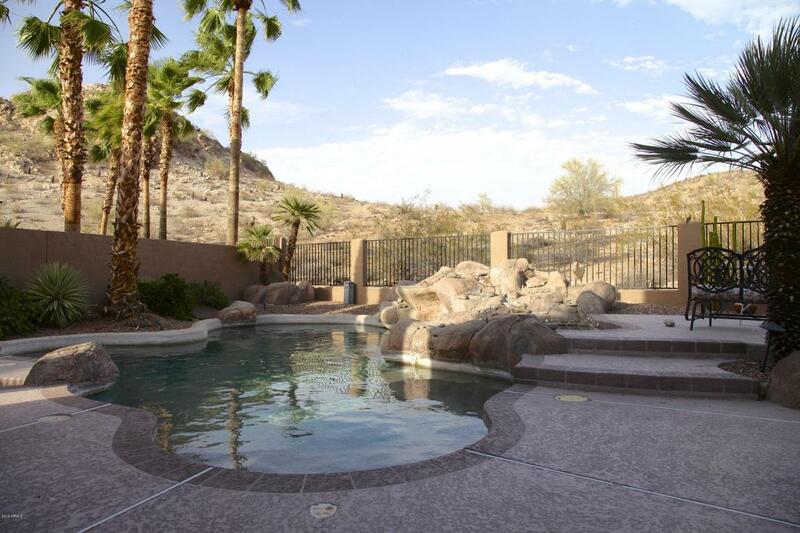 Awesome Backyard W/Pebble Tech Pool & Spa W/ Rock Waterfall. Large Covered Patio and Plenty of Patio Space to Entertain! Cross Street Chandler Blvd. & 31St St.